The objective of PAC Drilling Co. is to contribute to American energy independence through the profitable development, operation and marketing of oil and natural gas wells within established fields in the continental United States. 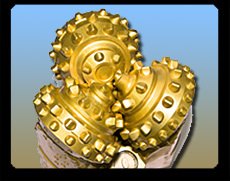 The application of sound business principles in the successful development and operation of oil and natural gas wells. Utilization of stringent screening procedures in the identification and evaluation properties and development. The implementation of policies and procedures to optimize well operations and oil and gas marketing activities of producing wells. PAC Drilling's short-term strategy is to continue to maintain and enhance existing wells to ensure continued production and revenue from these wells. PAC Drilling's long term strategy includes continued discoveries that will be placed into production quickly to generate an early cash flow. Focusing our activity on developmental drilling we increase the probability of securing commercially productive wells. PAC Drilling continues to perform evaluations of different producing basins and compares statistics on well costs, reserves per well and initial production rates. Assessments of operating expenses, basin development potential, environmental risks, availability of leases and market concerns are also made. The results of this inclusive analysis guides all drilling efforts of the company. Acquisitions - PAC Drilling is continually evaluating acquisitions in proven oil and natural gas basins. The Company may purchase these properties for developmental inventory to be drilled, produced and marketed. 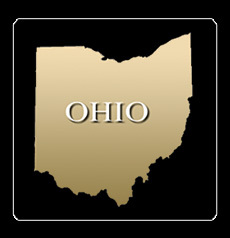 Legislation in Ohio has opened new areas to oil and gas development. Many cities and large population townships, primarily in northeastern Ohio, had enacted drilling bans. As a result many excellent drilling prospects were off limits and are now available. Newly enacted Ohio H B 278 re-established the Ohio Department of Natural Resources as the exclusive regulator of oil and gas development in Ohio.